DESTIN, Florida: Greg Fisher, Founder and CEO of TripShock, announced today the appointment of Martin Owen as the company’s Director of Partnerships – Destinations & Accommodations. He will be responsible for helping to grow TripShock’s relationships in their existing markets in Florida, Alabama, Louisiana and South Carolina, as well as newly developing destinations. Mr. Owen has been acting as a tourism consultant to TripShock for the past two years through Owen Organization LLC and is now taking a more formal role in managing the relationships between the company and it’s partners in the property management sector. Owen will also handle the relationships created by TripShock’s destination websites PensacolaBeach.com, NavarreBeach.com, and OkaloosaIsland.com. “Martin’s marketing experience with ResortQuest here on the Gulf Coast and with The Apartment Service in the United Kingdom gives him unique insights into the needs of property managers when it comes to the provision of tours, activities and experiences,” Fisher said. 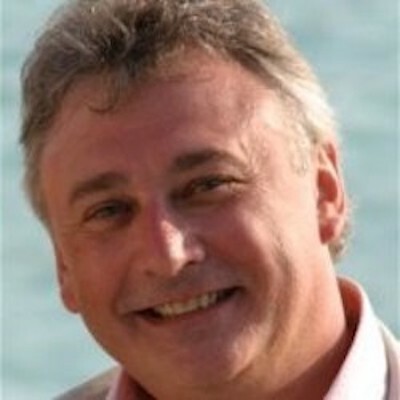 Martin’s consultancy history has seen him partner with a diversity of tourism companies including The Sabre Travel Information Network, American Express, The Jay Odom Group, TravelBag plc, and Austravel. Mr. Owen also sits on the Okaloosa Tourist Development Council, is a past chair of the Greater Fort Walton Beach Chamber, and is a Fellow of the Institute of Travel & Tourism. He contributes tourism based columns to a number of publications and blogs.